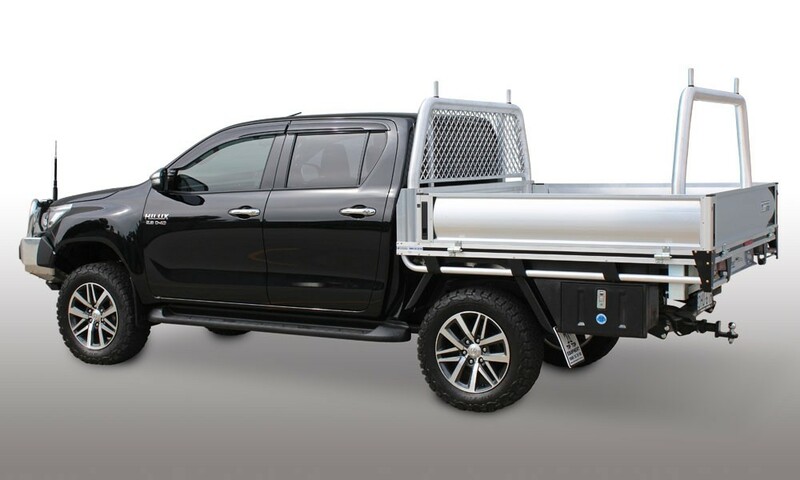 It’s not just the strongest alloy ute tray ever, it’s the best looking too. 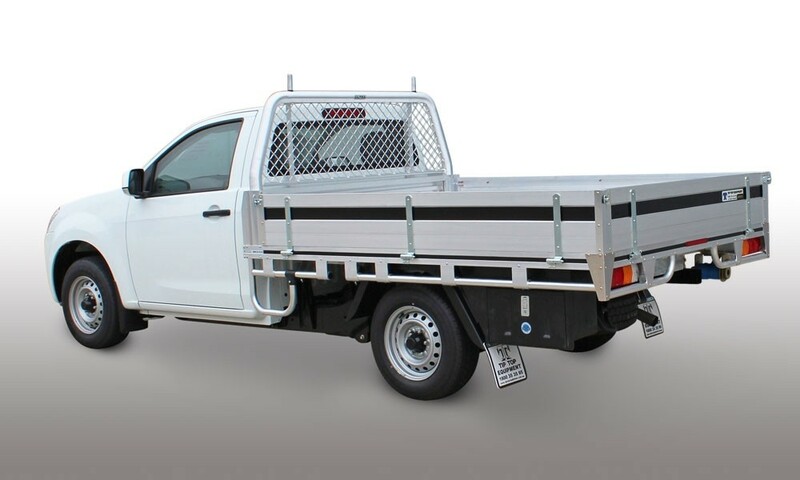 Feature for feature, you won’t find a tougher aluminium ute tray on the market. Or a better looking one. 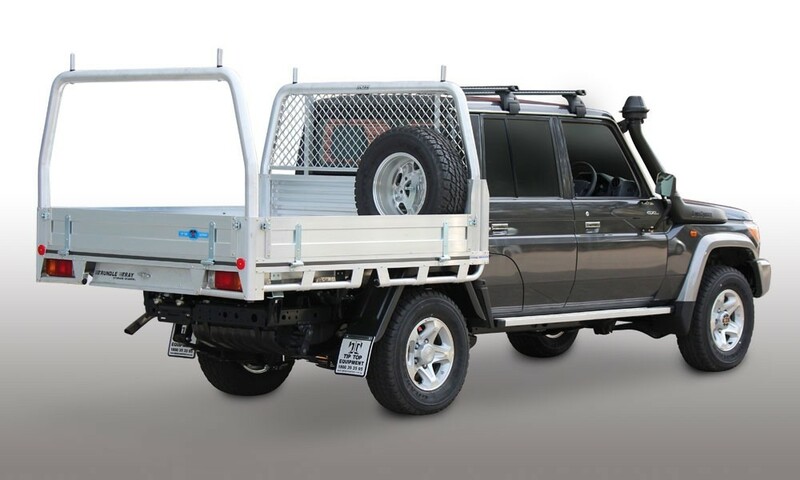 From the headboard to the tailgate every feature of the Ultra-heavy-duty Ultra Tray is built to carry heavier loads. 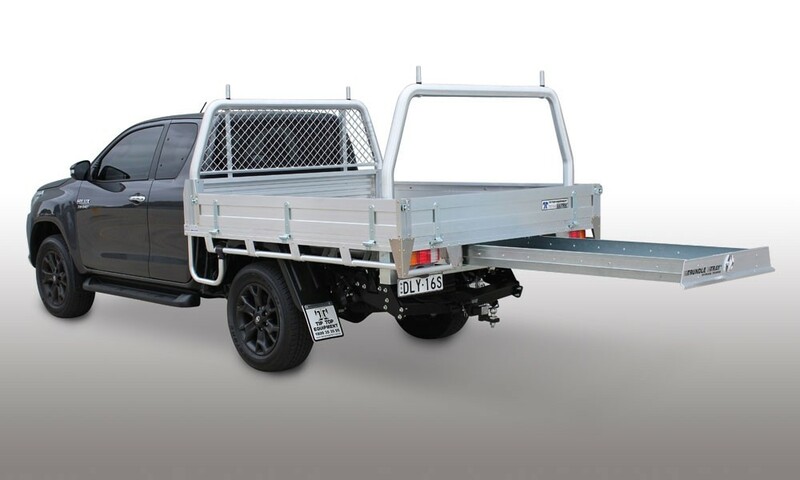 Maximise your ute’s potential and carry more, which saves trips, time and money. 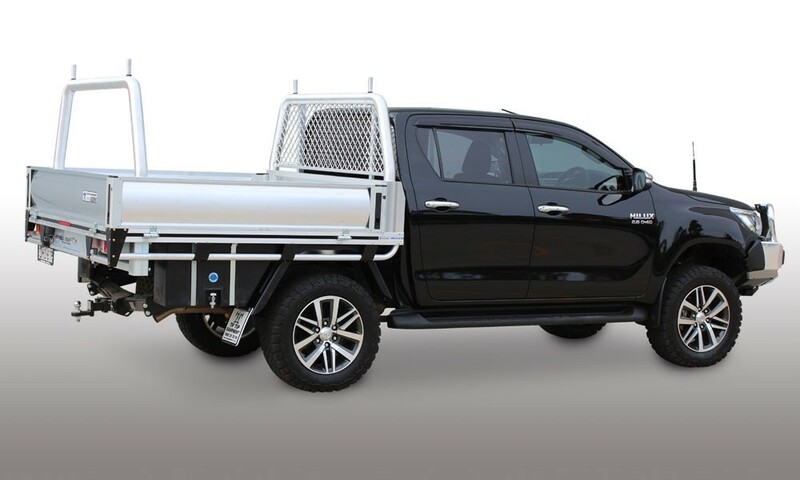 When a heavy-duty ute tray is not enough, you’re ready for an Ultra Tray. It’s even heavier duty than our heavy-duty trays. The headboard construction is heavier duty. The dropsides are larger at 37mm and stronger, high tensile. The rope rails are 40mm thick. 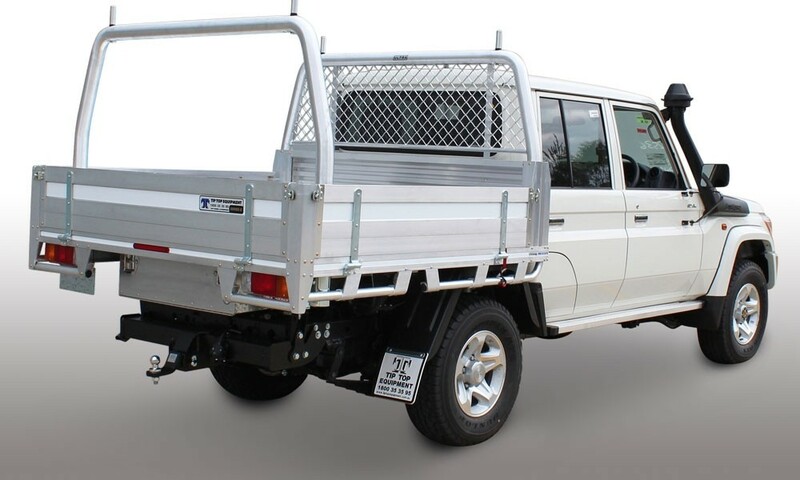 And the rear rack option is mounted to your chassis. 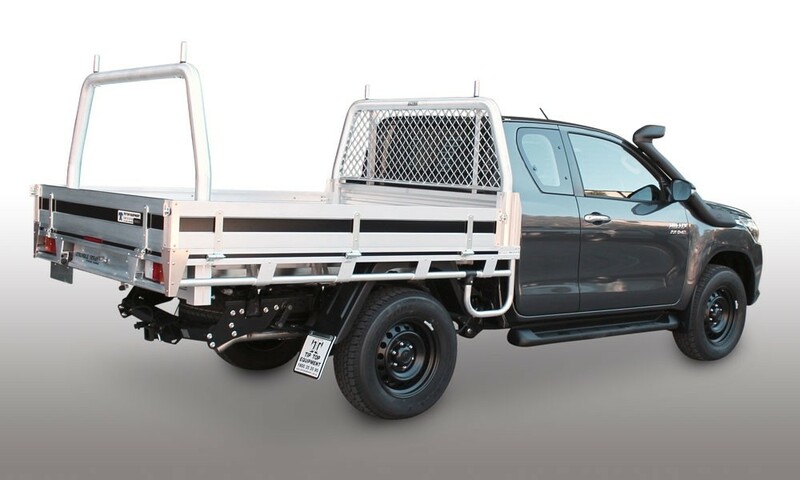 You can’t buy a stronger ute tray. But you can add to it. 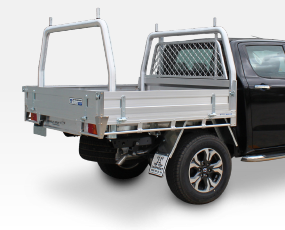 Make the strongest-ever ute tray even stronger with our purpose-built, optional accessories like our stronger, higher, curved Ultra dropsides and tailgate with tough, flush-mounted catches. They’re great spaces too for your corporate signage. 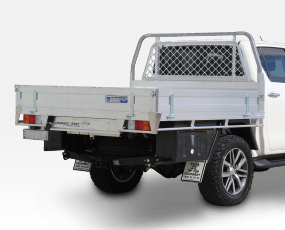 Go to town with our optional, black powdercoated fittings, sloped rear coaming, high-level break lights and coloured stripes. Or add our propriety Trundle Tray™. Mounted though the tray floor and fixed onto the chassis to bear the weight of the load. 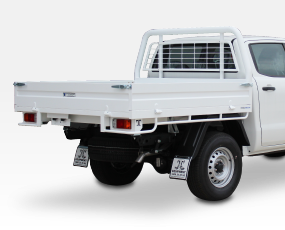 Designed for dropside height increases and for carrying wider loads as the pins are mounted further apart. sleekly-designed, large smooth surface is great for colour coding and for signage. 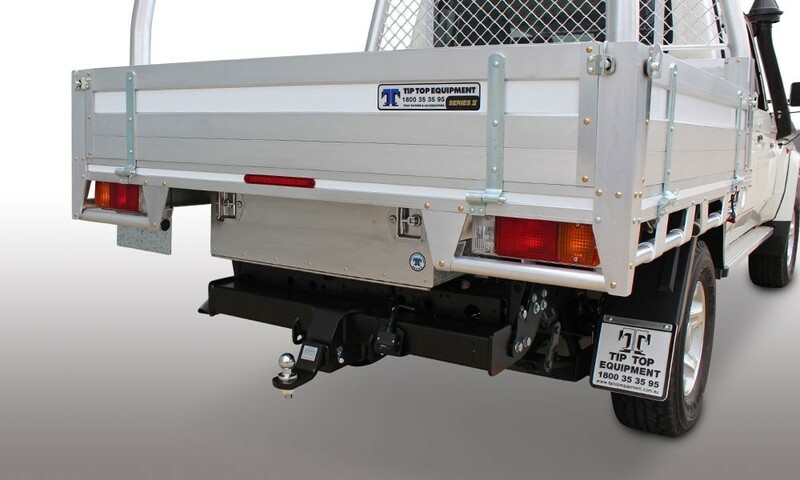 Secure the dropsides with European-style black flush-mounted catches. 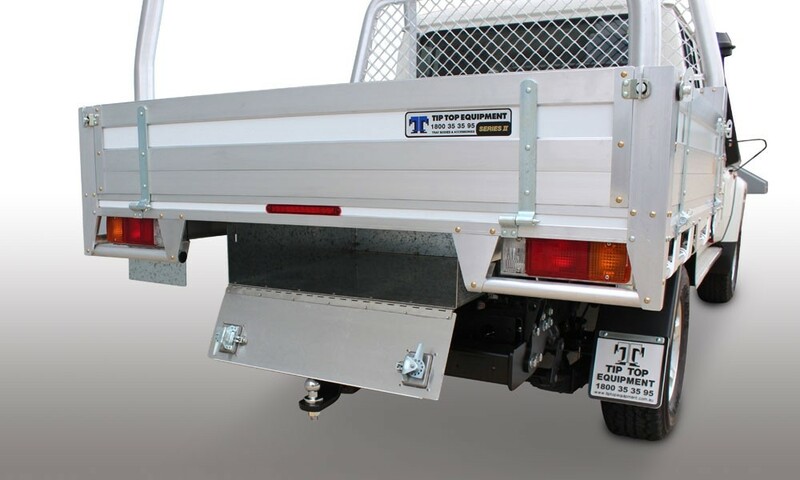 Lower the dropside without opening your tailgate.